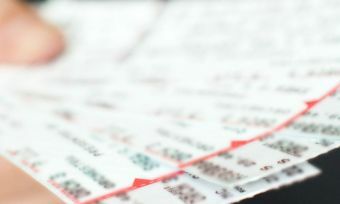 Websites that allow Australians to ‘bet’ on the outcome of lotteries in other countries will be banned under new legislation to be introduced by the government. The legislation will target lottery and keno games on websites including Lottoland and Planet Lotto. “The Government has formed the view that permitting betting on these services, also known as ‘synthetic’ lotteries, undermines the long-standing community acceptance of official lottery and keno products,” the Communications Minister, Mitch Fifield, said in a statement. “Traditional lotteries and keno games are popular and long-standing recreational gambling products that form an important income stream for thousands of small businesses across Australia, including newsagents, pharmacies, pubs and community clubs. They also generate significant taxation revenue for state and territory governments, helping to fund schools, hospitals, public transport and roads. Betting on lotteries is already banned in South Australia. Lottoland and Planet Lotto are licensed in the Northern Territory as sports bookmakers. The legislation will commence operation six months after passage through the Parliament to ensure that those businesses currently offering online betting on lotteries and keno have an appropriate transition period within which to cease their activity, the Minister said. The Australian Lottery and Newsagents Association (ALNA), which represents more than 4000 businesses employing more than 15,000 people, welcomed the proposed amendment to the Interactive Gambling Bill, saying the news came as a “relief”. The ALNA has long called for Lottoland in particular to be banned. “We are pleased to see this loophole being addressed on a national level,” ALNA chief executive Adam Joy said in a statement. “The best kind of consumer protection from synthetic lotteries is to not allow it in our country. The model encourages problem gambling, promotes high-risk spending, and is misleading regarding the winnings available. Lottoland Australia CEO, Luke Brill, said the legislation is both misguided and unnecessary. “The fact is that Lottoland does not offer betting opportunities on any Australian lottery, so our offering does not have a direct impact on newsagents,” he said. “On the contrary, we want to work with newsagents to provide customers with greater choice and even better services, which have the potential to be highly beneficial for individual newsagents.